Fashion has come to Vaping. Women are now Vaping and want to be fashionable when they are Vaping their e-cigarette of choice. That is where Vapor Couture comes in. Here at last is a website where women can obtain the products and informative reviews pertaining to the feminine side of Vaping. A subsidiary website of V2 Cigs, one of the leading makers and distributors of Vaping products and accessories, Vaping Couture is a one-stop place to find the latest news, products, and services devoted entirely to women. Here you will find a line of products made exclusively where you are shown a selection of exciting and scintillating products that not only Provide for Your Vaping Pleasure, but also are designed to be fashionable and become an accessory that accepts your fashion sense. We will look at some of the products and examine some of their finer points, how they enhance your public image, harmonize with your apparel, and provide the products that have the feminine style. When you have finished reading, you will see why you will want to bookmark their site in your browser to be able to keep up-to-date on current fashions involving Vaping. First, let us take a look at some the products Vapor Couture’s guides you to and displays for your consideration. To help you begin your Vaping experience, here offered for your enjoyment is a selection of starter kits that allow you to choose an e-cigarette that color coordinates with your wardrobe and other accessories you wear. Each kit contains an e-cigarette and battery of your choice with a wide selection of colors and a feminine style. Starting with a single e-cigarette as the minimum to get you started, increasing in delight through to a deluxe starter kit that provides everything you could possibly desire to excite your taste buds, enhance your Vaping pleasure and ultimate enjoyment. They give you the flavor you desire and they are color coordinated, the cartridges come in fashion colors that match your Vapor Couture battery. On the other hand, you can create your own fashion statement and catch the eye of those around you by mixing and matching. Along with the exciting selection of flavors, you would expect the batteries to even the more exquisite and Vapor Couture does not disappoint. Their selection of batteries in a variety of exciting of colors, iridescent styling or simplicity allows you to project the image of the type of person you are merely by flashing your e-cigarette as you inhale. Reminiscent of the Hollywood glamour days where high-class women of the time used elegant and ornate cigarette holders at parties, fashionable clubs and formal dinners which allowed them to emphasize their beauty and style as noted in a recent Vapor Couture review. They come in Signature, Deep Purple, Brushed Platinum and Rose Gold The Signature is in a white Louis Vuitton pattern that looks quite stylish in its understated simplicity. Finally, Vapor Couture offers an extensive line of accessories that enhance the style, beauty, and functionality of your e-cigarette experience. 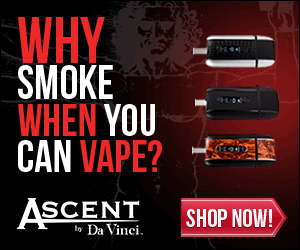 These various accessories enable you to have your Vaping enjoyment anywhere, anytime, for easy access. You will find elegant carrying cases, Clutch bags, and even a necklace designed to allow you to carry your Vapor Couture e-cigarette with you wherever you go. Other accessories such as battery chargers, USB connections, and car adapters are also available. For those who do not wish to go to the expense of purchasing a cartridge type e-cigarette. Disposable e-cigarettes are available. These single use e-cigarettes are also designed for the woman in mind. Designed with exquisite taste and they offer excellent flavor as the many satisfied customers of Vapor Couture have come to expect in their Vaping pleasure. When you use a Vapor Couture coupon, you can give that special gift to share the holiday spirit and the joy of Vaping to all your friends, colleagues, and associates. A Vaping starter kit makes the perfect holiday, birthday, or as a surprise gift for the woman who is fashion conscious and enjoys being stylish and for the enjoyment of her smoking pleasure. The Entrée, L’Essenttiel, L’Essenttiel + 1, Passeport, and the Maximale starter kits with the distinctive VC logo and in decorative and stylish boxes highlights the distinctive and special nature of this gift. Vapor Couture’s products made with the same exacting standards that V2 Cigs puts into their #1 brand of e-cigarettes that are known all across America and Vapor Couture reviews highlight not only V2’s woman’s products but feminine Vaping in all its forms as well. Vapor couture reviews are unanimous in their praise of an e-cigarette design especially for women. Most other e-cigarettes, mostly geared to a male audience and ignore the special likes and needs of women. Users who post online a vapor couture review are uniformly pleased with the products and are quite satisfied with the flavor and the style that these products represent. Customer service is mentioned as being responsive and quick to handle questions and problems as they arise. You can be assured that not only the battery will give you maximum life for your Vaping pleasure. Each cartridge is inspected under the tightest and most exacting of quality control standards In the Vaping Industry. If for any reason you are not satisfied with your product Vapor Couture, of course, will refund all of your money, no questions asked. This is the finest source for feminine Vaping products in the nation and being such, they have a reputation that they will go out of their way to make sure of your total satisfaction and pleasure. Vapor Couture offers the finest in Vaping products in America today and you will also pass on tips on how to use their products as well others that are in style, fashionable, and provide hours of smoking pleasure. Each review and product from Vapor couture is designed to be informative and as colorful as their line of Vaping products, each with pleasing color coordination, textures and patterns that accessorizes with any outfit in your wardrobe. The flavor of the cartridges, exclusively selected for women who are elegant and have a discerning taste about the type of enjoyment they desire, are of the highest quality and taste imaginable. The many accessories that Vapor Couture offers enhances and beautifies you and allows you to take your Vaping pleasure anywhere at any time you desire. So when you think of Vaping, remember the name Vapor Couture that provides you with the ultimate in smoking and Vaping excitement.